uske baap ne uski shaadi kahin aur kar dali. Happy Diwali. LUCK KI HO BOCHAR , AISA HO AAPKE LIYE DIWALI KA TYOHAR. ki Chandni, Apno ka Pyar, Mubarak ho Apko DIWALI ka tyohar. apno se hoti hai aur apno ki shuruvat aapse hoti hai. Happy Diwali. Bomb, SMS Karo Varna I'm Comin With Agarbatti. Tyuhaar, Jiwan Main Ho Khushiya Apar. *HAPPY DEEPAWALI* kiya na maine sabse pehle wish. Diwali and EID. Eid ki Mubarakbadi aur Diwali ki Shubhkamana!. Moments that have been attached in my heart, forever..... ..
Happiness Arives, Happiness Is Here. Kahe Na Paayen Hum,Kahe Na Pao Tum. Its really a very impressive information on your blog. Keep it up.. I also visited this indian festival diwali site, it has also very nice information. 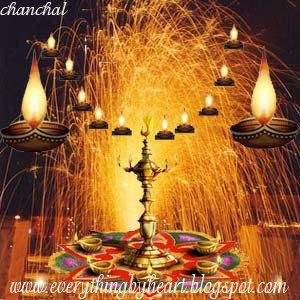 Thank you for share a great collection of diwali sms in different collors. And i wish you a very Happy Deepawali.